Christmas Sale – 50% OFF + Free Shipping! Don’t miss out! This offer expires on Tuesday June 30th, 2019. Today we are continuing with our ongoing exploration of the History of Poster Art as it evolved over the last two centuries. In Parts 1-4 of this Blog we commented on the early history of the poster since the late 1800’s. French artists that worked during the “Belle Epoque” deserve credit for developing this new art form, in particular the works of “the father of the poster”, Jules Chéret and his publication “Maitres de l’Affiche”. We also introduced a number of important artists of the era and their creations, Mucha, Toulouse-Lautrec, Cappiello, Grasset, Steinlen and Rhead. Today we “follow” Rhead to the US where poster art was still in infancy. Louis John Rhead was an English-born American artist who emigrated to the United States at the age of twenty-four and had great influence on American poster designers. In the United States, posters had not evolved to the same artistic level as in Europe. American posters were primarily directed towards basic commercial needs to deliver a written message. 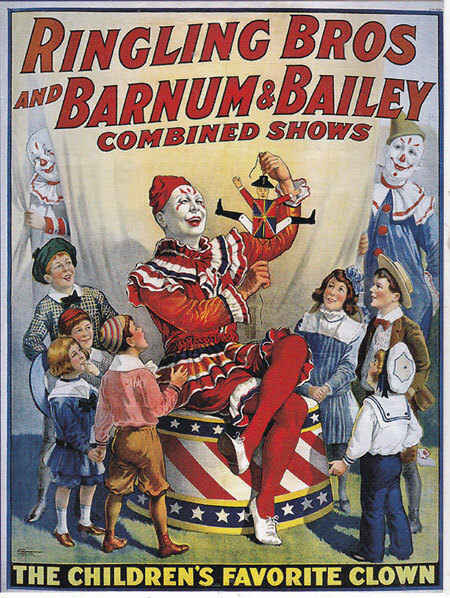 However, the new influences from Europe and the advent of the travelling circus brought colorful posters to tell citizens that a carnival was coming to town. But many of these too were very commercially utilitarian, of average quality, and only a few saw any real artistic creativity. 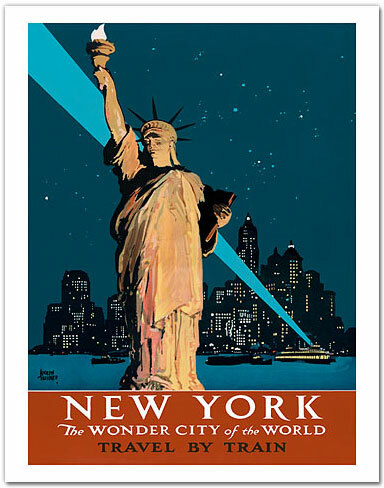 This changed in the 1920’s and 1930’s when many posters appeared that had great artistic merit and have become extremely collectible. 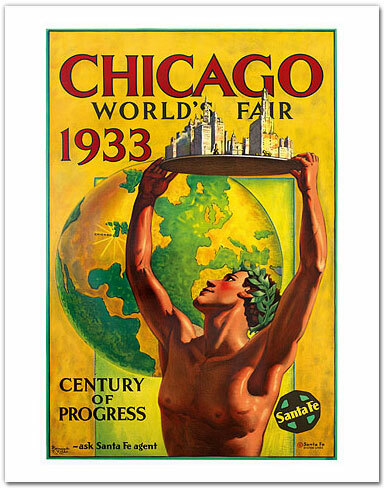 These include the posters advertising World’s Fairs and Colonial Exhibitions. With the advent of the industrial revolution, travel by train, plane and bus gave rise to tourism and posters promoting travel destinations. 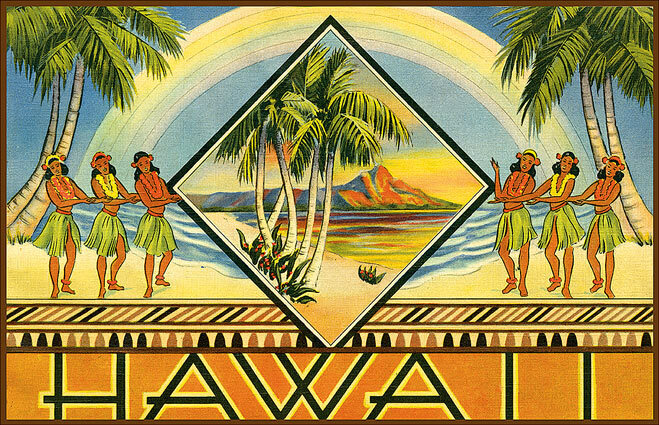 Tourist Offices, airlines, railroad and bus companies commissioned artists to promote their business. 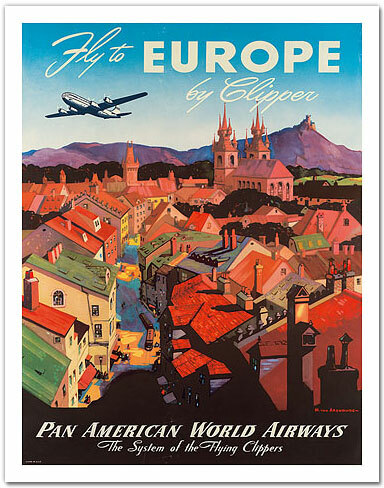 In the next few Blogs we will introduce some highlights of Travel & Tourism posters that were designed by talented artists. This new art form was popular until the 1960’s when photography took the place of graphic art. Pan American World Airways, commonly known as Pan Am was the principal and largest international air carrier in the United States from 1927 until its collapse on December 4, 1991. 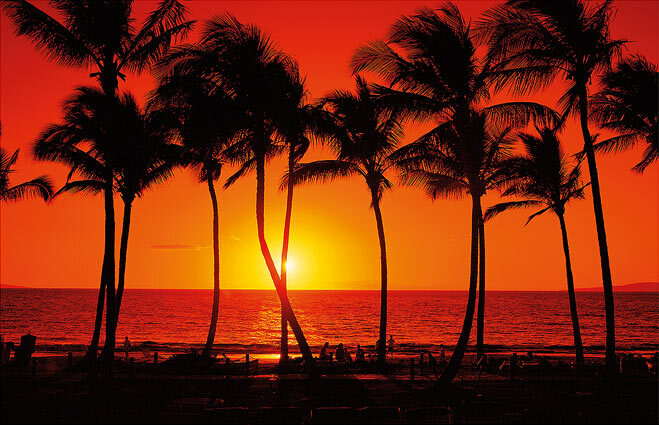 Founded in 1927 as a scheduled air mail and passenger service operating between Key West, Florida, and Havana, Cuba, the airline became a major company credited with many innovations that shaped the international airline industry. Identified by its blue globe logo, the use of the word “Clipper” in aircraft names and call signs, and the white pilot uniform caps, the airline was a cultural icon of the 20th century. In an era dominated by flag carriers that were wholly or majority government-owned, it was also the unofficial flag carrier of the United States. 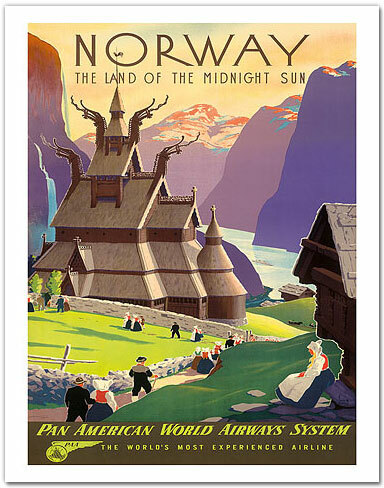 Pan Am was one of the first airline companies to use posters in promoting the travel destinations the carrier serviced. 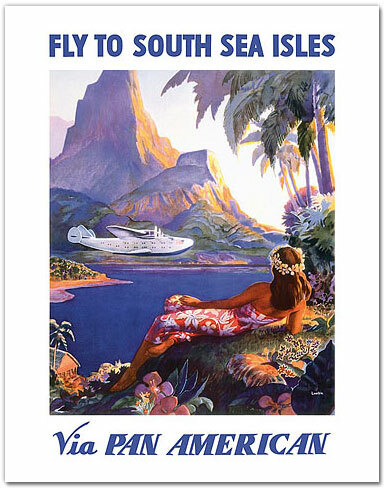 During the early era of tourism also dubbed “The Golden Age of Travel” Pan Am commissioned such artists as Paul George Lawler, Mark von Arenburg, Ivar Gull and others to design posters for the routes of the famous Clipper Ships. These posters are now highly collectible and are being auctioned by Christie’s, Swann Galleries and other such establishments and fetch high prices. To be continued… to view further works by these poster artists, please visit our web sites: classicvintageposters.com and islandartstore.com. Thank you for your interest in these blogs, your feedback is appreciated. Today we are continuing with our ongoing exploration on the History of Poster Art and the development of this art form over the last two centuries. In Part 3 of this Blog I introduced Alphonse Mucha, Eugene Grasset and Théophile Steinlen who were featured in “Maitres de l’Affiche”- a publication that appeared from December 1895 to 1900 and was published by Jules Chéret- the “father of the modern poster” (see Blog #2 in this series for more info). Next I want to focus on some of the other artists that were featured in “Maitres de l’Affiche” and in another publication called “L’Estampe Moderne”. 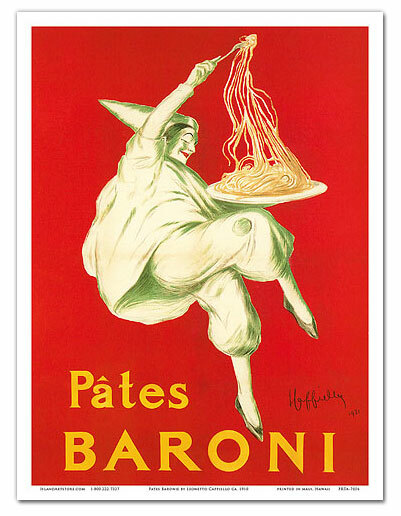 Leonetto Cappiello, Henri Meunier, and many others became important figures of their day, their art form transferred to magazines for advertising as well as for social and political commentary. Leonetto Cappiello (9. April 1875 in Livorno, Italy – 2. February 1942 in Cannes, France) was an Italian poster art designer who lived in Paris. He is now often called ‘the father of modern advertising’ because of his innovation in poster design. The early advertising poster was characterized by a painterly quality as evidenced by early poster artists Jules Chéret, Alfred Choubrac and Hugo D’Alesi. Cappiello, like other young artists, worked in way that was almost the opposite of his predecessors. He was the first poster artist to use bold figures popping out of black backgrounds, a startling contrast to the posters early norm. Cappiello moved to Paris in 1898 and started his career as a caricaturist illustrating in journals like Le Rire, Le Cri de Paris, Le Sourire, L’Assiette au Beurre, La Baionnette, Femina, and others. Later Cappiello began to move away from caricature work favoring posters. Cappiello made his name during the poster boom period in the early 20th century, with designs markedly different from premier poster artist Jules Chéret. 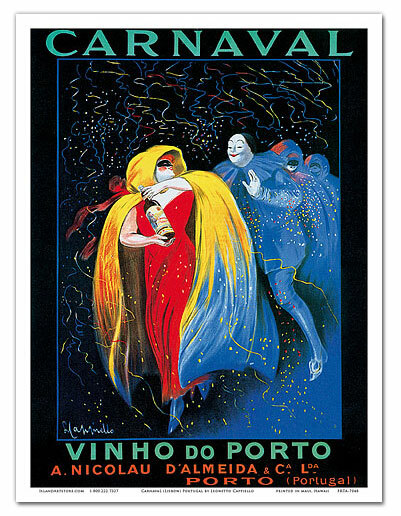 Cappiello’s career as a poster artist began in earnest in 1900 when he began a contract with the printer Pierre Vercasson. 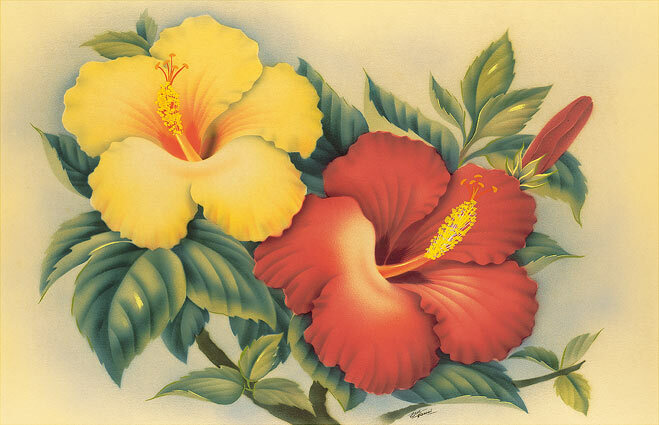 During this period, the printers would act as an agent for artists and commission work to them. 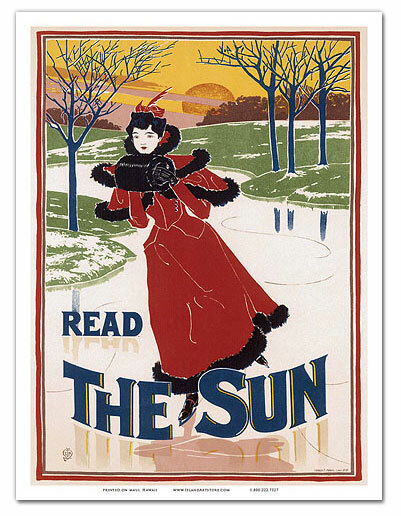 Vercasson had a print house, and his goal was to bring color to the streets of Paris, he wanted the posters that he produced to stand out from the rest and attract lucrative new advertisers to his agency. Of course living in Paris, he was aware of the current art scene, and had seen many examples of Cappiello’s work, including a small number of posters already produced and in particular those for Le Frou-Frou. He knew that Cappiello had the potential to be exactly what he was looking for. The relationship commenced with the arrangement that Vercasson would find the clients and brief Cappiello on the product. It was then up to Cappiello to produce a sketch for the client for which he would receive the fee of 500 francs, a good amount at the time. 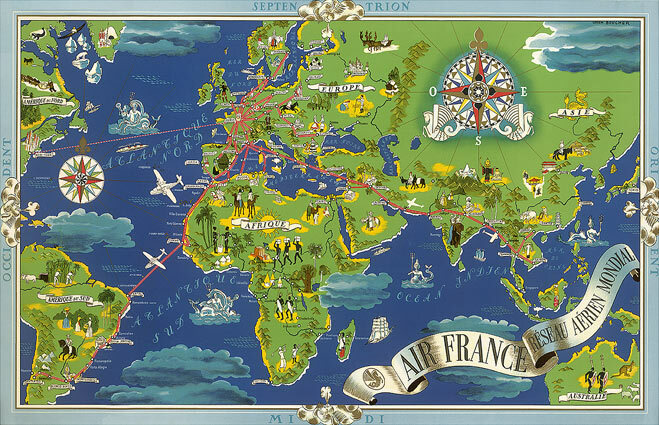 Once the design had been approved by the client a full size design would be produced for the poster at a size of 1×1.4m, an old French paper standard known as the Double Grand Aigle. Cappiello would also be responsible for ensuring the successful transfer of the design onto lithographic stone ready for printing. 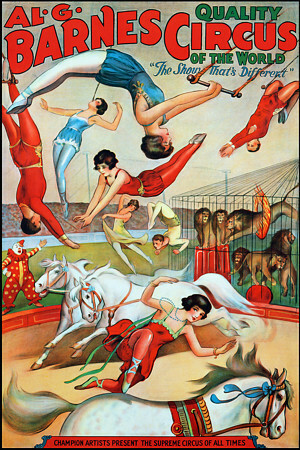 In 1918 Capiello signed an exclusive contract with the Paris publisher Devambez for whom he designed now famous icons: such as Kub, Campari, Parapluie Revel, Pirelli, Chocolat Klaus and Poudre de Luzy, and the famous entertainer Mistinguette at the Casino de Paris. Over the course of his career Cappiello produced more than 530 advertising posters.Today, his original posters are still sold at auction and sought after by dealers and collectors around the world. 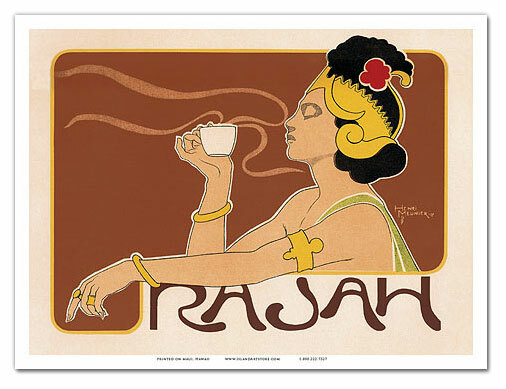 He was a Belgian Art Nouveau lithographer, etcher, illustrator, bookbinder and poster designer of the Belle Époque. After studying at the academy in Ixelles, he diversified into printmaker, poster designer, graphic reporter and book binder. Meunier used flat colours and thick outlines, borrowed from Japanese prints, to achieve powerful images. Many of his lithographs were published in L’Estampe Moderne, which appeared from 1897-98 as a series of 24 monthly portfolios, each of 4 original lithographs, priced at 3 francs 50 centimes and printed by F. Champenois of Paris. Contributing artists included Louis John Rhead, Théophile Alexandre Steinlen, and Eugène Grasset. We already introduced Steinlen and Grasset in previous blogs, here then some biographical notes and examples of Louis John Rhead’s work, an artist who brought the poster art of the “Belle Epoque” from Europe to the US. was an English-born American artist, illustrator, author and angler who was born in Etruria, Staffordshire, England. He emigrated to the United States at the age of twenty-four. The Rhead family had operated and worked in the Staffordshire Potteries for at least three generations. Louis’s father George W. Rhead worked in the pottery industry and was highly respected gilder andceramic artist. In the 1870s, George Rhead taught art and design in Staffordshire schools. 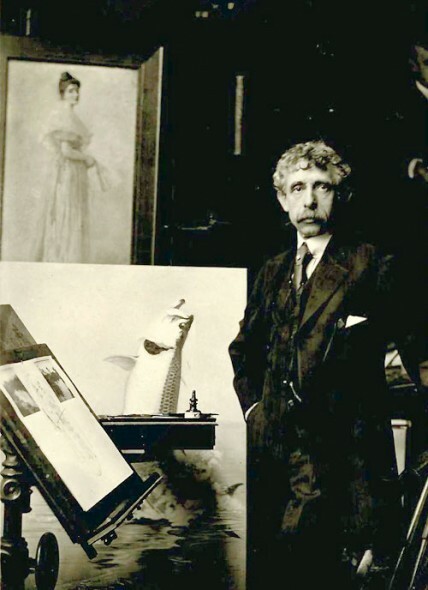 He founded Fenton School of Art. Louis and all his siblings attended their father’s art classes and worked in the potteries as children. Because Louis demonstrated exceptional talent, when he was thirteen in 1872, his father sent him to study in Paris, France with artist Gustave Boulanger. After three years in Paris, Louis Rhead returned to work in the potteries as a ceramic artist at Minton and later at Wedgwood. In 1883 at the age of twenty-four, Louis Rhead was offered a position as Art Director for the U.S. publishing firm of D. Appleton in New York City. He accepted and emigrated to the U.S. in the fall of 1883. 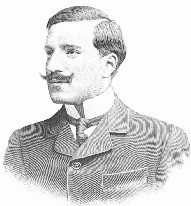 In 1884 he married Catherine Bogart Yates, thus becoming an American citizen. Louis and Catherine lived in Flatbush overlooking Prospect Park for forty years. In the early 1890s, Rhead became a prominent poster artist and was heavily influenced by the work of Swiss artist Eugène Grasset. During the poster craze of the early 1890s, Rhead’s poster art appeared regularly in Harper’s Bazaar, Harper’s Magazine, St. Nicolas, Century Magazine, Ladies Home Journal and Scribner’s Magazine. 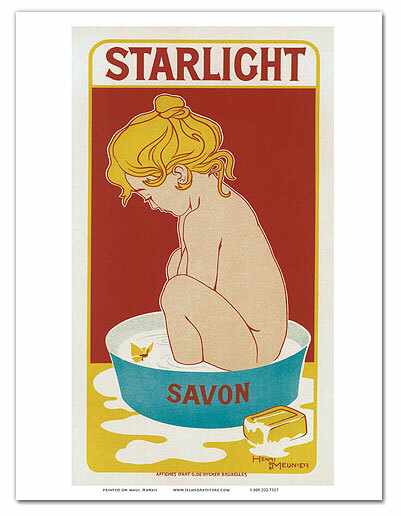 In 1895 he won a Gold Medal for Best American Poster Design at the first International Poster Show in Boston. Between 1902 and his death in 1926, Rhead illustrated numerous children’s books published by Harpers and others. Most notable among these were editions of: Robin Hood, The Swiss Family Robinson, Robinson Crusoe, The Deerslayer, Treasure Island, Kidnapped and Heidi. Rhead was an avid fly fisher and by his own account started fishing for trout in the U.S. sometime between 1888 and 1890. “LOUIS RHEAD, ARTIST AND ANGLER, DEAD. Exhausted Recently by Long Struggle In Capturing a 30-pound Turtle.